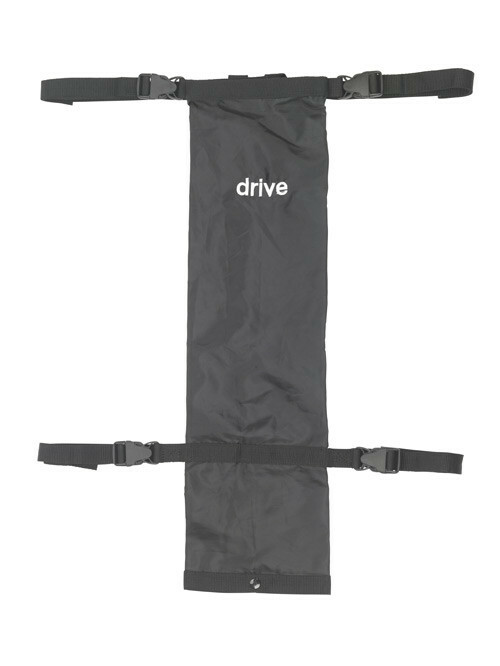 The Drive Medical Universal Oxygen Cylinder Carry Bag for Wheelchair is a convenient case for oxygen patients who want to take their Liquid Oxygen with them. 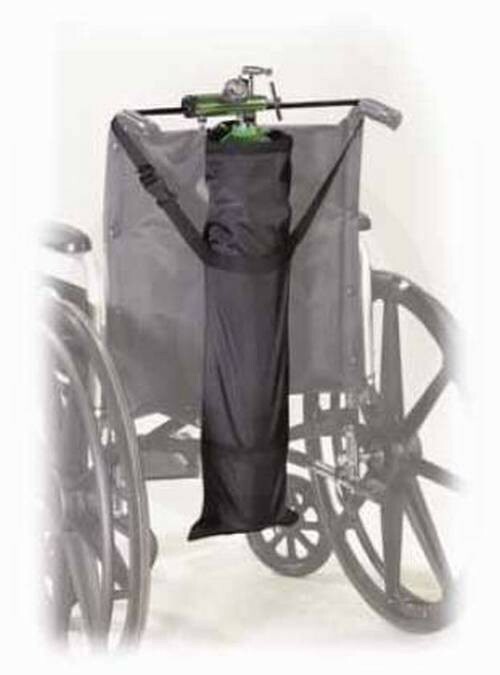 The bag attaches directly to the wheelchair, which makes it easy to take your oxygen cylinder with your wheelchair. This bag is made specifically for wheelchairs. 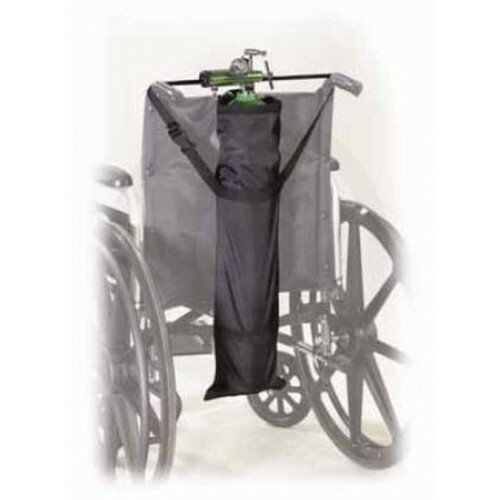 It fits snuggly to the canister and they have holes that allow tubing out to the patient. 26.5" x 7.5" x 4.75"